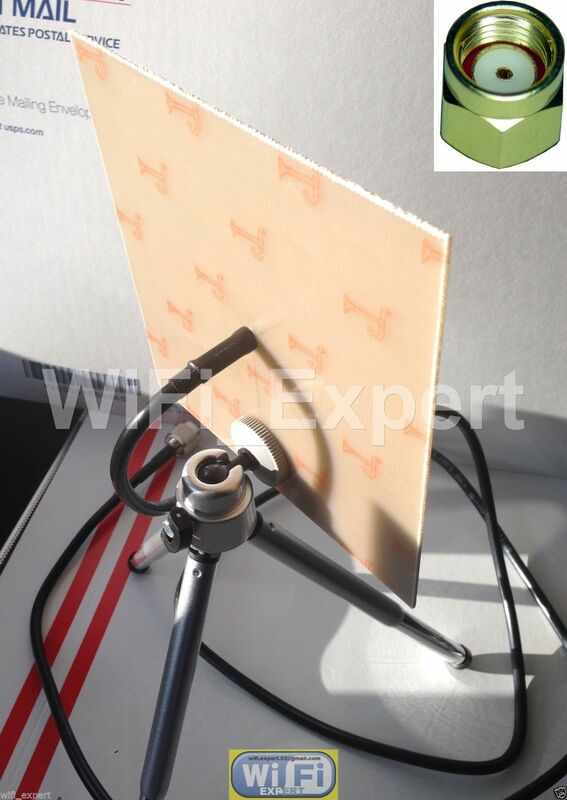 Includes: 1 (One) Single BiQuad Antenna with 5 Foot LMR195 extension cable RP-SMA Male connector, tripod is also included. New design resulted in 30% range increase. Much thicker cable has very little loss now. Single BiQuad ‘Mach 1’ Version 2 stand alone unit. Requires repeater/router or network card (not included in this auction). 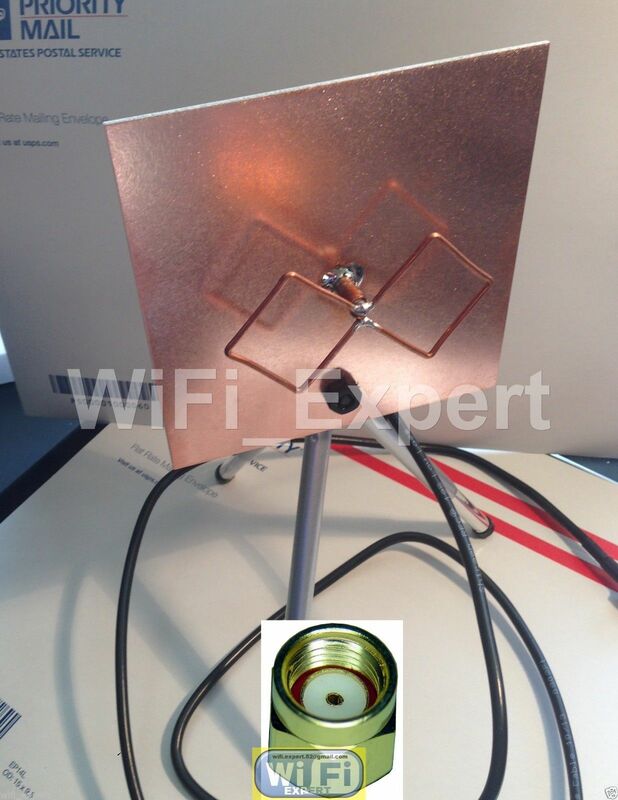 This Single Bi Quad Antenna is specifically made to be used with any network card or router that uses RP-SMA connector (if you need any other connector type please contact us as we can provide any adapter). You will get one Single BiQuad antenna with 5 foot RP-SMA LMR195 cable only as seen on the picture and nothing else.